Tel Ḥamid (Ras Abu Ḥamid, sometimes written Ras Abu Ḥumeid) is located in the central inner Coastal Plain (3 km southeast of Ramla), at the edge of the Shephelah region (6 km northwest of Gezer). The tell, gently sloping on all sides, is approximately 10 a. in size and rises to 7 m above the surrounding plain. 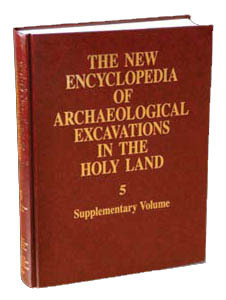 The site has been identified with the biblical cities of Gath/Gittaim ( 2 Sam. 4:1–3 ) and Gibbethon ( Jos. 19:44 , 21:23 ; 1 Kgs. 15:27 , 16:15–18). While the excavations did not yield any information that addresses this issue directly, the sheer size of Tel Ḥamid in comparison with the other site identified with Gibbethon, the smaller Tel Malot, and its geopolitical location not far from Gezer suggest that the site be identified with Gibbethon. The site had been surveyed repeatedly in the past but never excavated until salvage excavations were conducted on behalf of the Israel Antiquities Authority by S. Wolff and A. Shavit in 1996 (areas A–C), and by Wolff in 1998 (areas D, E) and 2002 (area F). In 1995–1996, O. Tal excavated remains to the west of the tell, dating primarily to the Pottery Neolithic and Chalcolithic periods.